Around Easter Sunday we noticed our bridge to the grotto partially collapse. 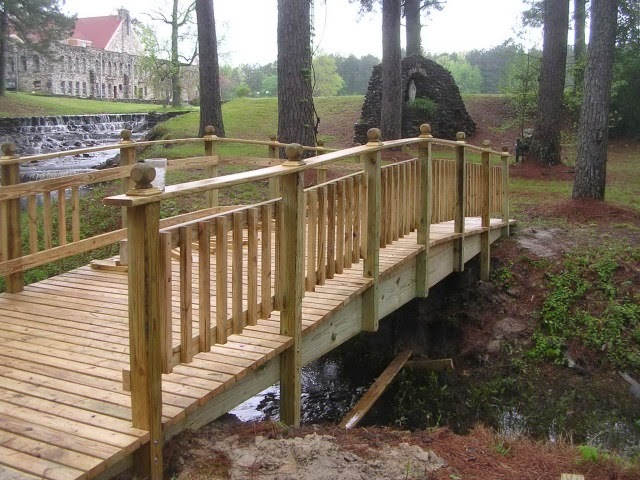 Robert secured the fallen shore line and a guy named Rodney from Sherwood build the new bridge on the octave of Easter. It cost $ 2,650 which I thought was a fair sum for this work. Guess I should have waited to pay them until the bridge was completed, but in Rodney we trust.